All photos are copyrighted works of Kirsten Gallon. They may not be downloaded, copied, screenshot, scanned or reproduced in any manner or medium. To do so is a copyright violation and is punishable by law. Check back as I will be adding to this gallery in the next couple of days. 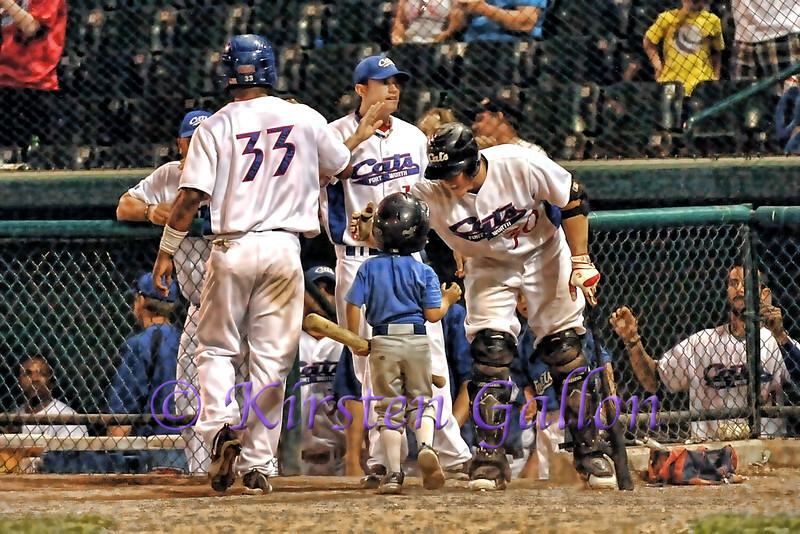 The Cats bat boy gets some encouragement from Scott Dalrymple as Chuck Caufield get a high five from Blake Parry after scoring a Cats run.